High tech. does not necessarily mean high priced! We dare you to compare! We are giving away FREE WEBSITES!!! That’s right!!! FREE! Your business can choose from hundreds of prefabricated websites. Search our catalogue for a website that is the right look for your business, then click the order button below, and we will have you online in no time. ODC© provides a variety of Internet presence levels which are adaptable both physically and economically to meet the needs of any organization, whether a large thriving multinational corporation or a small home-owned business. And we are flexible: if a package modification would better suit the unique needs of your business, we are pleased to accommodate. If you require a larger Web site which includes a variety of multimedia additions, see our complete custom Web site designs page. Odisey Design Company© and international freelance cooperative specialists are prepared to integrate your Web site locally and internationally, to deliver the maximum results to the maximum target audience, and always at the lowest price. We offer a wide array of services such as multi-lingual web design, local site maintenance & web hosting, web page templates, graphics design, and macromedia flash. We strive to create professional web sites that will effectively promote your products or services to your target audience where ever they may be. Making the right choice now may be the best choice you will ever make! We are here to help. 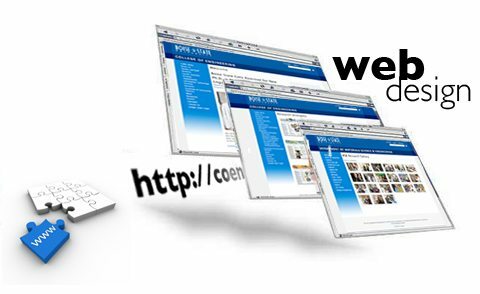 Web sites are very dynamic and powerful marketing tools. Each has a unique combination of purposes. Discover what yours are and make it happen! ODC© standard amenities: Our Web site packages are multi-media and feature rich packed!!! Digital image Web-opt for fast sites. TEMPLATE: 100’s of FREE WEB SITES TEMPLATES! Quickly launch your very own Web site with just the right amount of email, storage and bandwidth—without paying for extras you don’t need. FREE WEB SITES require a template choice! For UK and European projects, we partner with ForzaMedia.co.uk.